Due to the success of LED Semaphores, in the same manner as LED Semaphores we introduced LED indicating lamps in a sealed unit which is colour coded and contains resistors, capacitors, diodes and 7 X 3mm LED's. We also have a combination of 2 different input voltages. Now also with lamp test. 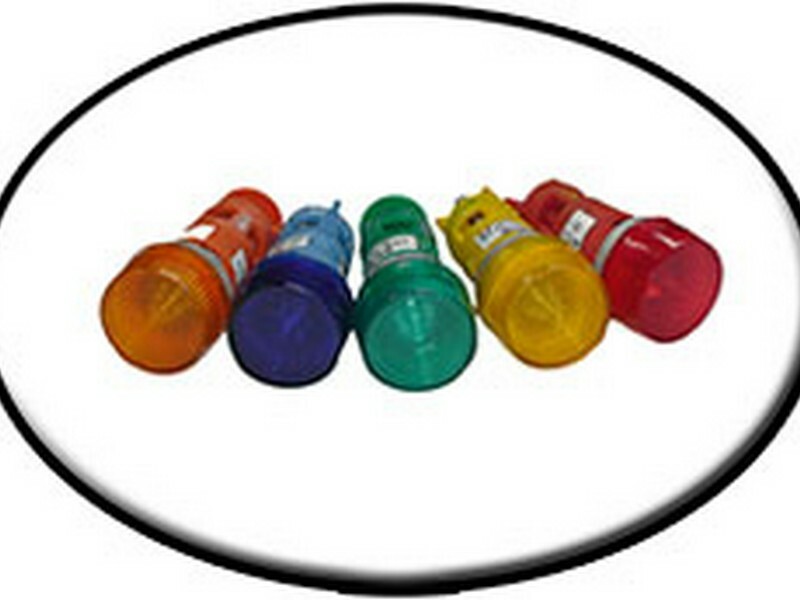 Indicating lamps are manufactured with any voltage to suit your requirements. We guarantee the high quality of our LED indicating lamps and LED Semaphores for a 3 month period. Our LED lights are also transparent which allowed the Technician to see what lights are on or off looking in from inside the Panel to the outside.